A group of Vietnamese young people visiting South Africa have spoken out fervently against the use of rhino horn, some even apologising to South Africa on behalf of Vietnam for the manner in which the cultural practise by some of their fellow countrymen impacts on the devastating decline in rhino populations. 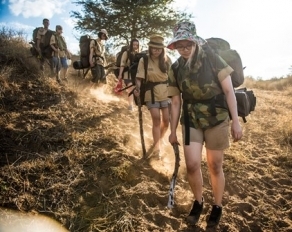 The 22 school-going youth from 12 international schools in Ho Chi Minh City were announced as winners of the Wild Rhino Competition earlier this year, and subsequently spent the last two weeks immersed in the beauty and harshness of the African bush during 5-day wilderness trails in the Hluhluwe-iMfolozi Game Reserve. 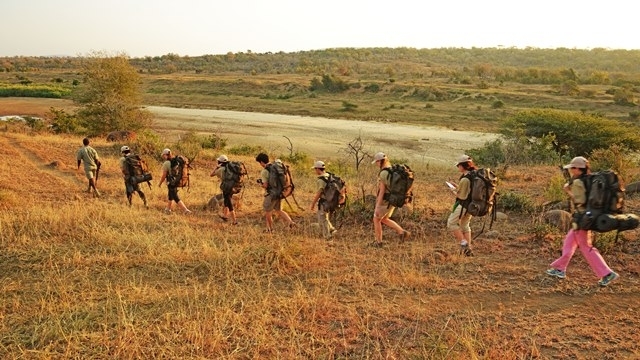 The purpose of the trails was to nurture awareness, insight, empathy and understanding – allowing these young students to return home as dedicated and informed emissaries for conservation and rhino protection. The Wild Rhino Competition, presented by Wilderness Foundation, in partnership with Investec Rhino Lifeline and Peace Parks Foundation, forms part of a broader strategy aimed at curbing the demand for rhino horn in primary user countries such as Vietnam. The Vietnamese students admitted to having only seen wild animals on television before, and having no personal comprehension of the rhino, as a living, breathing, critical component of nature – a sentiment that changed radically following their one-on-one experience with rhino in the wild. They furthermore explained that much of the abuse of rhino horn in Asian countries is not just due to apathy, but that ignorance about the medicinal and spiritual properties of the horn, and other illegal animal products, is still widespread. “These young people have been touched by the power of nature – their lives have been changed for the better. We have no doubt that they will indeed go back and share their experience and newfound knowledge with their family, friends and peers. 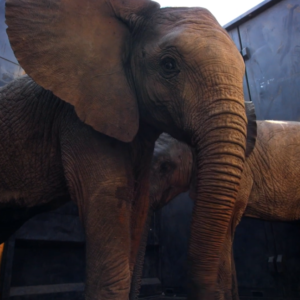 However, they have just reaffirmed that there is much education still to be done in Vietnam if we are to affect attitudinal and behavioural change,” says Matthew Norval, Chief Operations Officer, Wilderness Foundation. 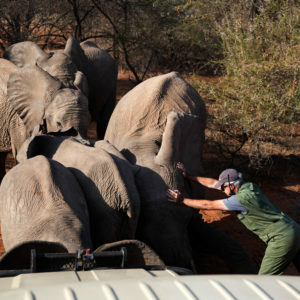 Besides attending the wilderness trail, the students spent time with rhino calves orphaned as a result of poaching, and also participated in educational workshops facilitated by the Wilderness Foundation. 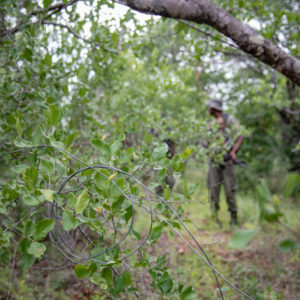 During these workshops they were educated on the true reality of the rhino poaching crisis through presentations by specialists in the field such as psychiatrist and specialist wilderness guide, Dr Ian McCullum, wildlife veterinarian, Dr William Fowlds and rhino operations manager for Ezemvelo KZN Wildlife, Lawrence Munro. 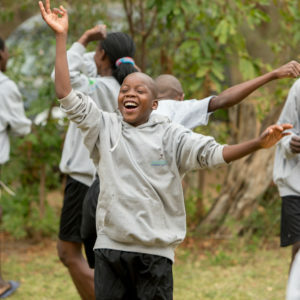 The workshops concluded with very passionate and positive presentations from the students themselves, who shared details about strategies they propose to develop in order to effectively spread the message of conservation and rhino protection in their community. Adding to the excitement was the presence of Vietnamese popstar Thanh Bui, who joined some of the young students on the trail. 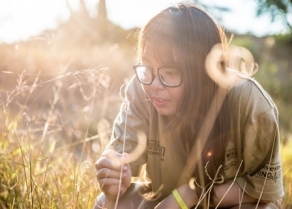 Thanh, with the support of Soul Music Academy, has been a Wilderness Foundation ambassador and an integral part in the Wild Rhino Competition since its launch in 2014. The young wilderness graduates each received their official rhino youth ambassador certificate before returning to Vietnam, where the Wild Rhino Competition partners will continue to engage with them and support the development of their community- and school-based demand reduction awareness ideas. 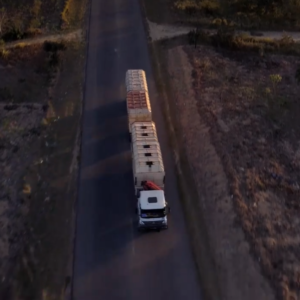 Through its Rhino Protection Programme (RPP), Peace Parks Foundation has made a significant financial contribution to make the launch and implementation of this initiative possible. 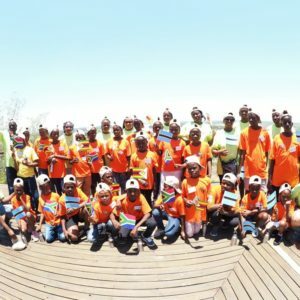 The RPP is implemented under the auspices of the South African Department of Environmental Affairs in partnership with South African National Parks, Ezemvelo KZN Wildlife and Peace Parks Foundation. 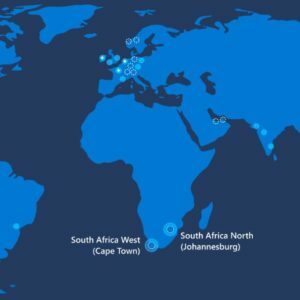 The implementation of the multi-faceted programme is made possible through funding from the Dutch and Swedish postcode lotteries.